I have been so off my meditation game lately and I can really feel it. The anxiety is creeeeepin’ and I have had to mentally slap myself into taking some deep breaths the past week. Two weeks ago my mom, sister and niece were here and then the four of us traveled to see my grandmother over the weekend. 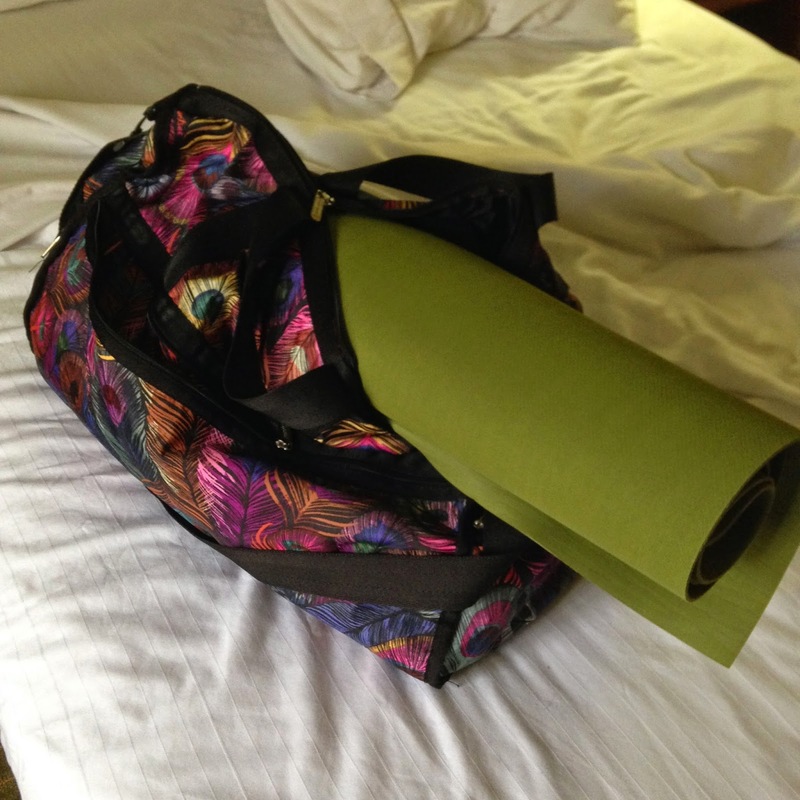 I did bring my mat along for the ride and got a little yoga in, but no meditation in grandma-baby-crazy land! Sunday, I returned home exhausted: Just sleeping with a baby nearby had me feeling a little bit zombie-like. Being a parent is terrifying, but I digress. The very next day Heather’s family rolled up for a week’s stay. So, for the past two weeks we have had all three bedrooms and the couch filled. There was also much celebrating,and cake eating and wine drinking, none of which lends itself to waking up early. Never in my life have I been diligent about anything. I like to say that I have been a consistently inconsistent runner for 14-ish years, taking months of here and there every since I began cross country in middle school. I have clung to this whole idea of taking each day as it comes and not planning, so as to not miss any exciting opportunity that may come my way. To stay flexible. When laid out like that, it’s a pretty juvenile practice. It doesn’t really serve me or my best interests. For me, this has meant many fewer healthy days, since habits that make me feel good, like work outs and cooking, really only happen when planned for. One of my goals for 2015 was to get better at routine and to have more structure in my life. With that in mind, I am not so pumped with how I easily let my routine slide away over the last two weeks. I want to be that person who is up at 6am, getting it done, even when there is company on the couch! But instead, I was sleeping in, using the excuse that I didn’t want to wake up the poor souls who got relegated to the living room (the only disadvantage I’ve found to owning a small house, by the way). Our third bedroom is where I normally yoga (yes it’s a verb) and meditate. Turning on the little salt lamp and closing the door to any distractions makes it feel “right”. Losing that space over the past two weeks was apparently detrimental to my practice, and that really annoys me. I should have just plopped down in my own bedroom or even my closet, deck or bathroom…hey my eyes would be shut! All I can do is try better next time. I’m not so big on beating myself up, something I like about myself. The chance to try again is coming quickly as we’ll be on the move this weekend. I aim to meditate in our hotel room, although you won’t find me sitting on the floor of this particular hotel (we are playing it cheap this weekend). The healthy practices in my life, yoga, running and meditation, are ALL things I can do very easily while traveling, so there is no real excuse. Support is one thing that I find helpful in keeping up good habits, so let me know if you feel me over here! Yes please, don't do yoga on the hotel floor! eek!